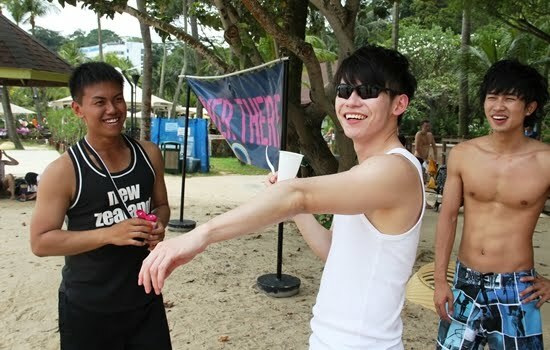 Last weekend, me and friends went Siloso Beach for some fun! 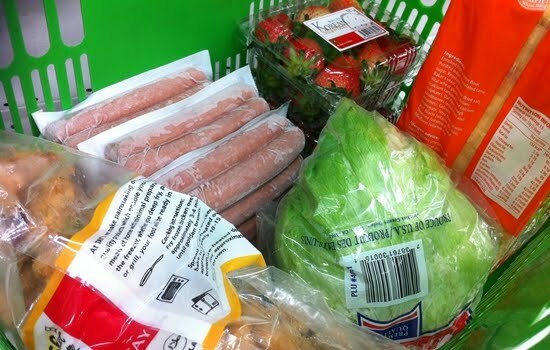 And so before that day, I went to the supermarket to grab some food for our sentosa outing! 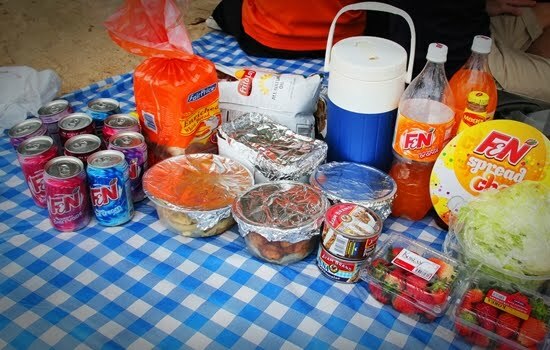 Okay I bought fried chicken, strawberries, bread, canned tuna, lettue, hotdogs and F&N drinks. 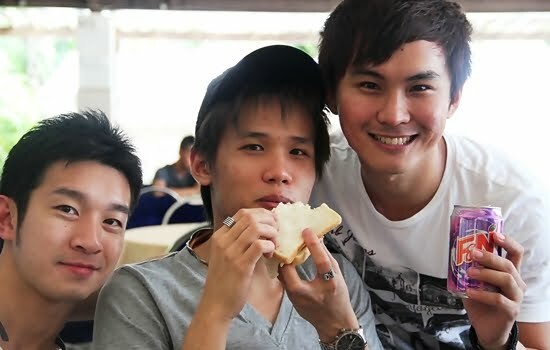 Met some of the guys at Vivocity and walked in through the Sentosa Broadwalk. 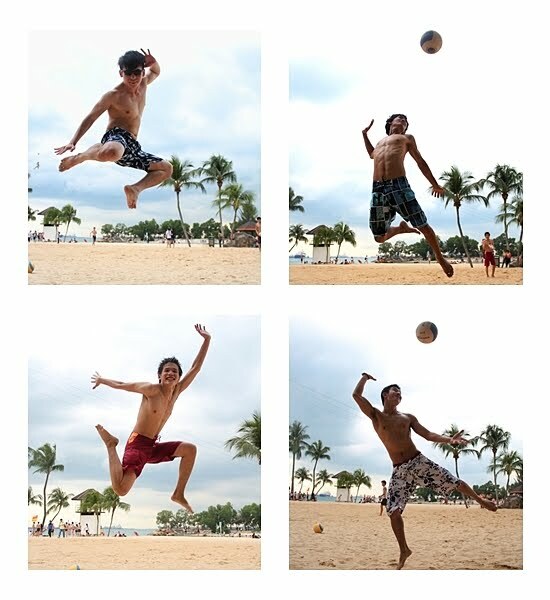 We were so excited that we decided to take a jumping shot along our way to Sentosa!!! 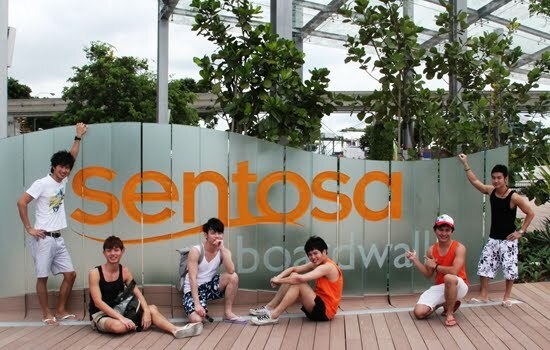 This was our 1st time walking into Sentosa using the Sentosa Broadwalk Bridge. It is really relaxing and fun walking in as you can see. 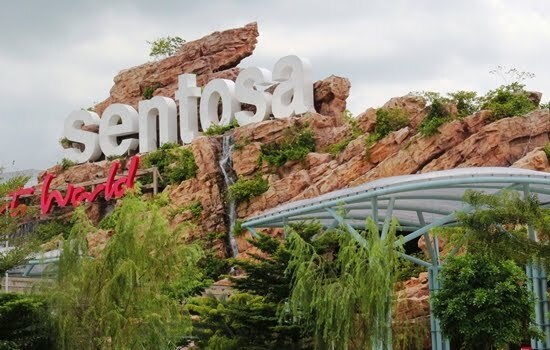 You can try it with your friend on your next Sentosa trip! 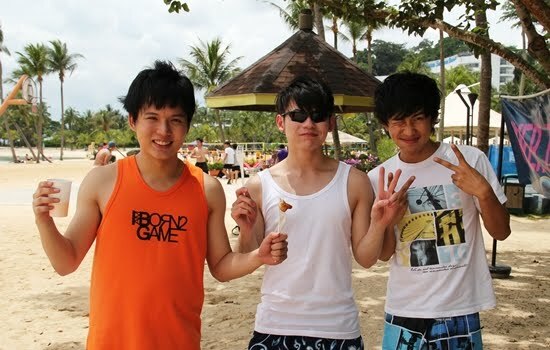 Finally after about 10min walk, we reached Sentosa!!! Yeah!!! Met up with more friends at the Beach Station and walking to Siloso Beach. We layed out the picnic mat. Time to get something chilled as the weather is pretty HOT! 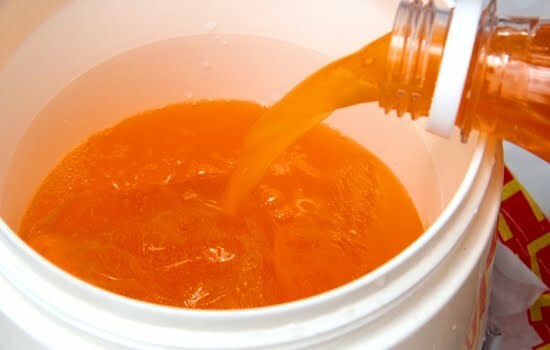 So I quickly poured some F&N Outrageous Orange for everyone!!! 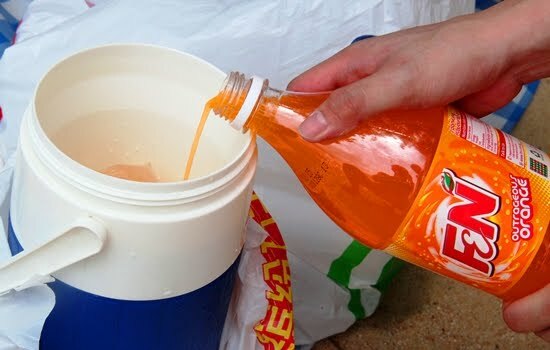 So thirsty looking at THIS!!! 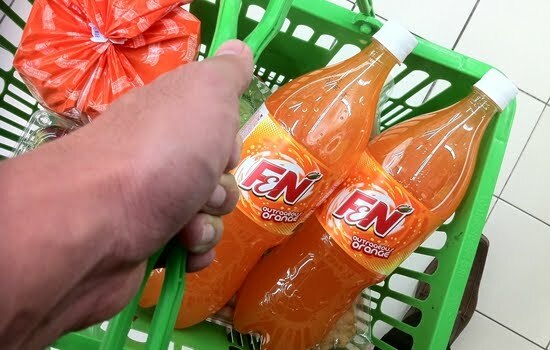 Ice Cool F&N Outrageous Orange Sparkling Drink!!! GJ putting on sunblock lotion. Well sidetrack a bit, he had been training hard on his body and I think he is doing pretty well! Keep it up brother!!! The hunks having a can of F&N sparkling drinks each Cheers!!!! Well we had some fun snapping photo! 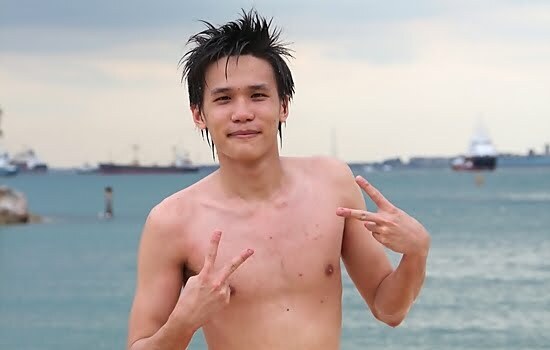 Look who is this handsome guy, he is Edison.